(MENAFN - The Conversation) The government has suffered a historic defeat in the House of Representatives, with Labor and crossbenchers passing the legislation facilitating medical transfers from Manus and Nauru by 75-74. Before the bill was considered Speaker Tony Smith tabled correspondence from Attorney-General Christian Porter saying the bill, passed by the Senate last year, contravened the constitution's Section 53. This provides that the Senate 'may not amend any proposed law so as to increase any proposed charge or burden on the people'. But the opinion also said it was 'ultimately for the House of Representatives to decide whether it considers the Senate amendments to be consistent' with Section 53, and the matter was not justiciable. In his letter to Smith, Porter asked the Speaker to keep the advice confidential but Smith said the House should have it and tabled it with Porter's letter. Leader of the House Christopher Pyne declared Labor and the crossbenchers 'don't care about the Australian constitution'. 'The English fought a civil war over this matter,' he said. 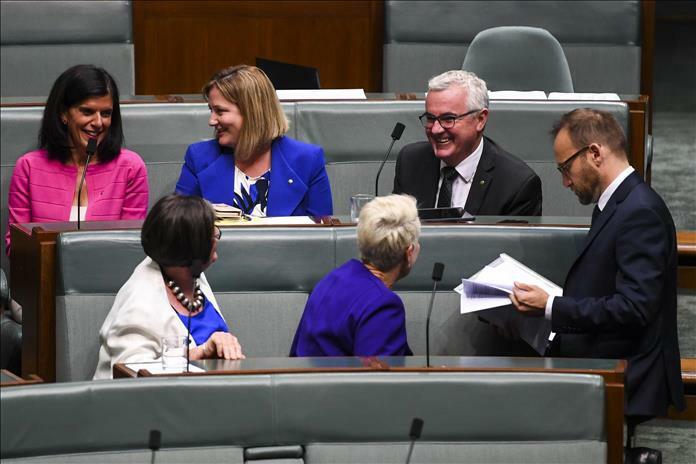 Labor argued the bill was about 'Australia's character' - how it treated sick people.